If you have looking for a way to Root Micromax A110 mobile with PC, then you are in the right web-page. Install custom Android applications, custom ROM firmware, custom setting etc. So Root will help improve the performance of your smartphone without any restrictions. Step 2: Enable USB Debugging mode on your Micromax A110 Device. Go to the system settings & open Developer options then USB debugging tick enable it. 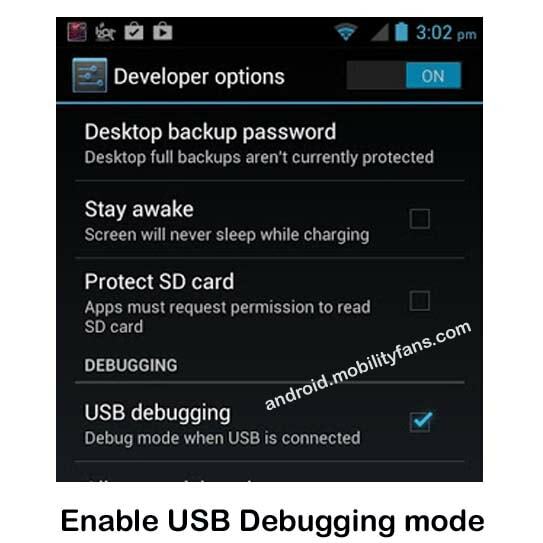 If your Micromax A110 Device have Android 4.0-4.2 or higher version, Go to Settings => Scrolling down => find Developer options => USB Debugging enable (tick). If your Micromax A110 Device have Android 4.2 or New version, Go to Settings option => go to About option => find Build number => Just tap repeatedly for 7 times (4 more taps to open developer options) => Hooray, you are now a Developer (message) => go back to Settings => you will be able to see the Developer options => open USB Debugging option. => USB Debugging enable (tick). Step 3: Download Micromax A110 Usb Driver and install your Micromax A110 mobile USB driver on your Computer, then open VRoot tool by double click on Vroot icon. Now connect your Micromax A110 mobile to your Computer via USB cable. VRoot tool shows your device name and give connected status. 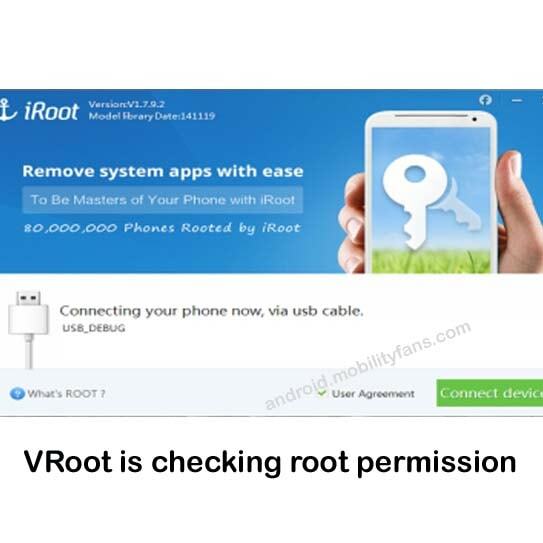 Step 5: VRoot is checking root permission on your Micromax A110 device, Now you will view a popup tab on your Micromax A110 device screen for getting rooting permission, then give permission to VRoot tool. 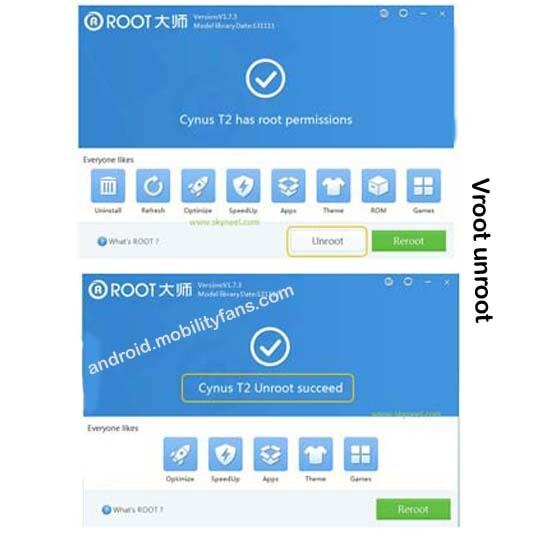 When you will give root permission, then Vroot tool automatically start the rooting process of your Micromax A110 device. Step 6: Now Rooting process run. After Rooting process complete disconnect your Micromax A110 device. Step 7: Reboot your Micromax A110 Android device. Step8: Your Micromax A110 device Rooted. Step 1: Open Vroot tool then connect your Micromax A110 phone via USB cable to computer. Now click on the Unroot button. Step2: Now your Micromax A110 phone is Unrooted successful. This is a simple instructions for Rooting Micromax A110 phone. This method is simple and safe for Root Micromax A110. So Rooting your Android Device and enjoy your Micromax A110 Android smartphone without any restriction. 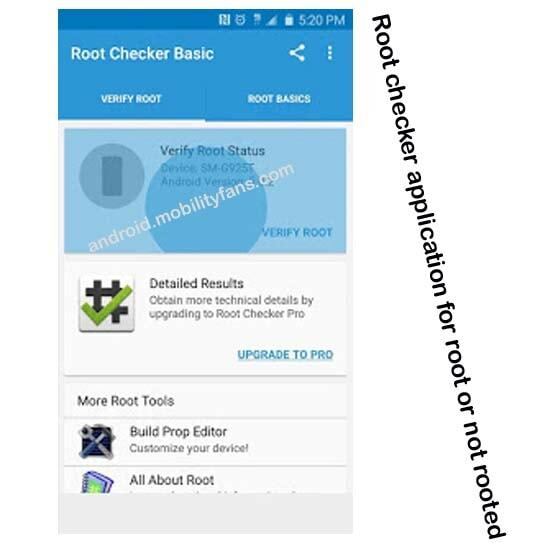 Rooting Micromax A110 device with Vroot Tool, So Rooting allows you to use a maximum of your Micromax A110 device without any restrictions. After root you will install custom Application, custom Rom and custom setting in your Micromax A110 device. After root you can install custom Rom, custom setting and apps on your Micromax A110 device. This is a simple instructions for Root Micromax A110. This method is simple and safe for Root Micromax A110. So Root your Android Device and enjoy your Android device without any restriction. Your Micromax A110 mobile battery should charge 50% minimum. Your Micromax A110 Device Rooting using VRoot tool then Download Micromax USB Driver and installed proper drivers on your PC or Laptop.